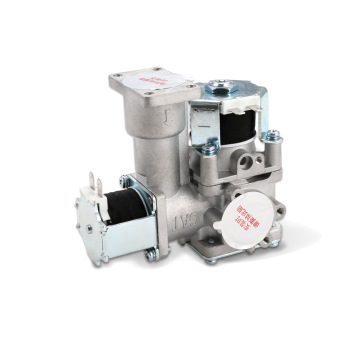 FOB Price Get Latest Price ModelPG-B01 Certification CE, UL, GAR CapableGS Min.Order100 Brief DescriptionProportion gas valve for gas water heater and gas boiler. high quality with long life. 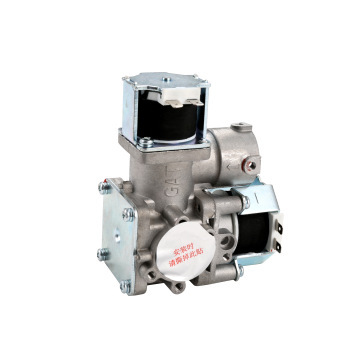 Proportion gas valve for gas water heater and gas boiler. high quality with long life. Established in 2003, Superman Group Home Appaliances Co.,Ltd has grown into a renowned enterprise and reputed brand in gas appliance industry after fourteen years of development. As a manufacturer engaged in the R , manufacture and distribution of kitchen appliances, we specialize in gas ovens, gas water heaters, range hoods, electric water heaters, electromagnetic ovens, sterilizing cupboards and other products. The Chaoren series gas stoves and gas water heaters are licensed by national manufacturing permit. Our range hoods, electromagnetic ovens and electric water heaters are CCC certificated. Chaoren brand has won titles of "Chinese Famous Brand", "Top Ten Kitchen Appliance Brands Favored by Chinese Households" and other honors in succession. Led by the human oriented corporate concept, we abide by the marketing strategy of "Striving to build Chaoren stove into a leading brand of swivel fire in China so as to facilitate the coordinative development of the relevant product types". In the past years, Chaoren has been committed ourselves to developing a series of high-performance and high-tech products appropriate for the practical conditions in China, including more than 40 China-patented products, to satisfy the requirements of consumers. In June of 2003, Chaoren established a production plant in Chinese industrial base of household appliances - Nantou, Zhongshan City. "Your black clothing lingers in my mind." We are eager to enlist the help of the virtuous and talented personnel. We do our endeavor to satisfy customers by advanced management, strict working processes, outstanding personnel qualification and considerate services. Looking back upon the history of Chaoren, we have been consistently adhering to the development strategy of specialization, brand promoting and internationalization. Facing the more broad market and emerging business opportunities in the new age, we hope to establish a new development platform along with partners of insight and create a brilliant era of Chaoren brand by our scientific development outlook! Established in 2003,Superman Group Home Appaliances Co.,Ltd has grown into a renowned enterprise and reputed brand in gas appliance industry after fourteen years of development. As a manufacturer engaged in the R&D, manufacture and distribution of kitchen appliances, we specialize in gas ovens, gas water heaters, range hoods, electric water heaters, electromagnetic ovens, sterilizing cupboards and other products. Chaoren brand has won titles of "Chinese Famous Brand", "Top Ten Kitchen Appliance Brands Favored by Chinese Households" and other honors in succession. Led by the human oriented corporate concept, we abide by the marketing strategy of "Striving to build Chaoren stove into a leading brand of swivel fire in China so as to facilitate the coordinative development of the relevant product types". In the past years, Chaoren has been committed ourselves to developing a series of high-performance and high-tech products appropriate for the practical conditions in China, including more than 40 China-patented products, to satisfy the requirements of consumers. In June of 2003, Chaoren established a production plant in Chinese industrial base of household appliances - Nantou, Zhongshan City. "Your black clothing lingers in my mind." We are eager to enlist the help of the virtuous and talented personnel. We do our endeavor to satisfy customers by advanced management, strict working processes, outstanding personnel qualification and considerate services. Looking back upon the history of Chaoren, we have been consistently adhering to the development strategy of specialization, brand promoting and internationalization. Facing the more broad market and emerging business opportunities in the new age, we hope to establish a new development platform along with partners of insight and create a brilliant era of Chaoren brand by our scientific development outlook!